Down a brick path leading to Etc. Beach: 1/10 mile to the 'Sconset Beach! 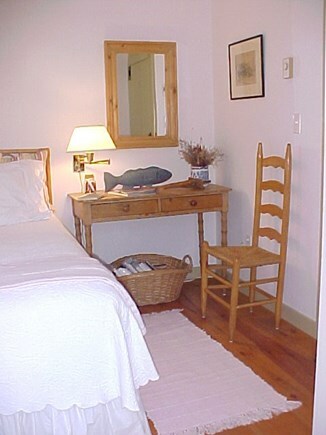 New 'Sconset Center cottage, old island charm! Beautiful and pristine, stunningly decorated! Private, set back from the street and surrounded by tall, private hedges in 'Sconset Center. There is a queen master bedroom and a loft with two twins. F-ully equipped. Spacious living/dining room with cathedral ceiling. New kitchen with granite counters and microwave. Wi-Fi, flat screen cable television. Outdoor shower. Bike rack. Large sunny deck with Brown Jordan furniture and Weber grill. Available year 'round. Very nice! NOW BOOKING SPRING/SUMMER/FALL, 2019! BOOK EARLY TO GET THE WEEKS YOU WANT. Nearest beach: 1/10 mile to the 'Sconset Beach! Additional pricing info: $150 turnover cleaning fee, State and local taxes of 11.7% will apply. We honeymooned on Nantucket Island in August of 1993, fell in love with it, and have been back every year since. In the beginning years we tried a variety of options for our annual summer visit. In the 1990’s we stumbled on Peter’s four ‘Sconset Center properties via an Internet search. What a find! We have stayed in each of them, but our “go to place” is Etc. at 26R New Street. It is ideal for two adults but can also accommodate two young children. 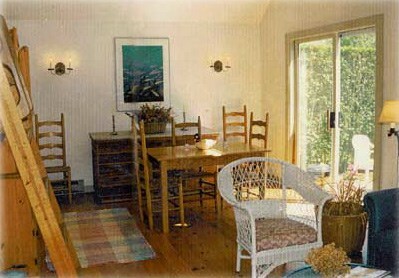 The cottage is off the street and is surrounded by a tall hedge making for privacy. 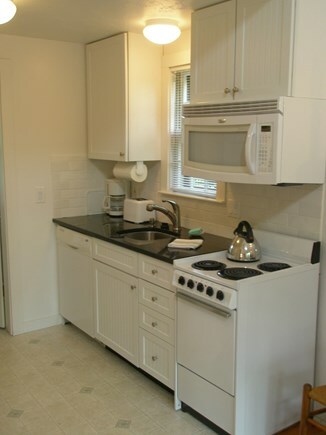 It is very tastefully furnished and has always been well maintained and extremely clean. 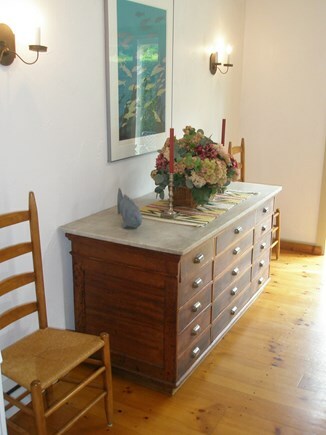 The owner pays attention to details and is meticulous about keeping it in excellent condition. 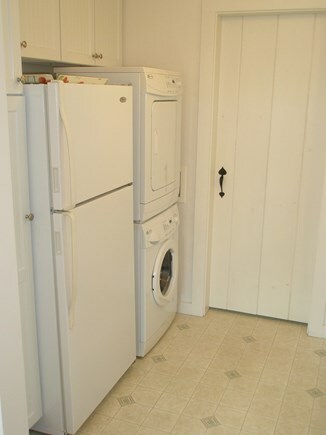 The washer/dryer is a nice amenity. It’s easy to grill on the deck, and it’s just a short walk to the beach and the ‘Sconset market and two of the best restaurants (in our opinion) on the island; the ‘Sconset Café and The Chanticleer. We also enjoy walking to the Summer House Restaurant for the night time bar scene. We highly recommend all four of Peter’s properties. The best rental in the whole island!